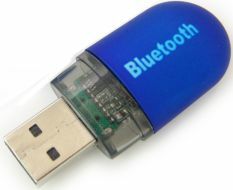 Bluetooth is the USB of the wireless world. It is practically the standard now for personal electronic wireless interfaces. 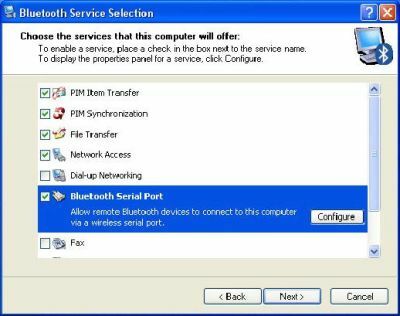 You may already have heard of bluetooth being used in wireless printers/scanners/mice/keyboards/headsets, digital cameras for image transfers to the PC, some cordless phones, PDAs, and MP3 players. Bluetooth makes the sharing and exchange of information between mobile and/or static devices as simple as possible. Whether at home, on the move, or in the office it can be used for networking, sharing files, synchronizing information, email, Internet access, printing, and more. In industry it can be used to wirelessly control equipment and machinery - perfect for servicing inaccessible devices. And now it will be for a wireless link between a PC/laptop and your robot! Imagine reprogramming your robot wirelessly (with bootloading software), or data logging/collecting sensor data, or sending commands without a long data cord to hassle with. Way better than any RC robot . . .
Let me say this bluntly - no cute girl would ever date you if you have a robot with a long wire dragging behind it. Just that simple. And if that isnt enough, the wire will cause locomotion resistance (imagine the wire pulling the robot back), will get tangled up in obstacles, and has a limited length of only a few meters before signal degredation leads to signal failure. 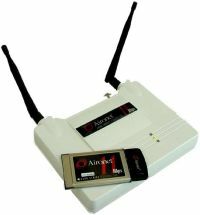 Bluetooth is a license-free 2.4 GHz frequency band, usually with an integrated antenna, having data-rates up to 3 Mbps (for Bluetooth v2.0), can pass through walls, has easy setup, and optional data-encryption. Multiple links can be established concurrently with different bluetooth devices because of automated frequency hopping (Frequency Hopping Spread Spectrum, or FHSS). This is comparable to the creation of a virtual RS485-type bus allowing several devices to communicate at the same time. What is FHSS? In this technique, a device will use 79 individual, randomly chosen frequencies within a designated range, changing from one to another on a regular basis. In the case of Bluetooth, the transmitters change frequencies 1,600 times every second, meaning that more devices can make full use of a limited slice of the radio spectrum. Since every Bluetooth transmitter uses spread-spectrum transmitting automatically, it�s unlikely that two transmitters will be on the same frequency at the same time. This same technique minimizes the risk that portable phones or baby monitors will disrupt Bluetooth devices, since any interference on a particular frequency will last only a tiny fraction of a second. Bluetooth comes in three classes. Transmitting range cannot be explicitly stated for each device class; every environment is slightly different, and affects the signal in different ways. The best way to compare a devices' operating range is by comparing Output Power. A higher output power means a longer range. Where Do I Connect Bluetooth On My Robot? 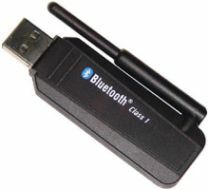 There are many different Bluetooth devices available on the market, but all are simple plug and play devices. Just connect one directly to your microcontroller by either a rs232 serial interface or through the UART tx/rx pins. I highly encourage you to read my microcontroller UART tutorial. The easiest way to do this would buy a microcontroller that already has a built in serial interface, and then connect it to a rs232 bluetooth adaptor. I have found two by brainboxes.com, and both are shown below. 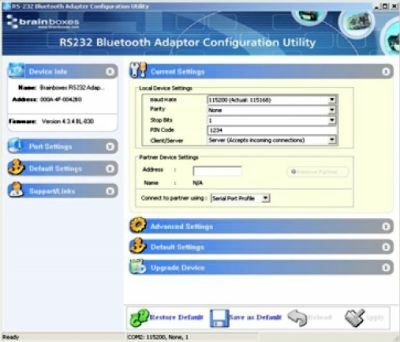 A Bluetooth rs232 Adaptor allows any device with an rs232 port to communicate with another Bluetooth device without the need for additional software/drivers. But as mentioned before, you could still get a Bluetooth module and plug it directly into the micrcontrollers' UART pins. 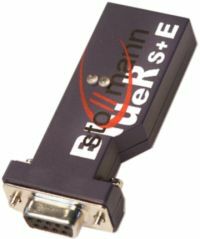 Stollmann also offers many Bluetooth modules. What About The Computer End? The part that connects to your computer will be a USB Bluetooth dongle. There are hundreds of these on the market and are very easy/cheap to find and buy. Notebooks can use Bluetooth via a PCMCIA card or a USB dongle. There are Bluetooth adapters for PDAs and PDAs with integrated Bluetooth functionality. There are also Bluetooth enabled phones (robot controlled by your mobile, anyone?). Because the Bluetooth module basically acts like a wireless serial cable, the software on the connected devices does not typically need to be modified. To operate the device, just install the included drivers and software that comes included. While the USB Bluetooth adaptor is very common and cheap ($15-$40), the rs232 Bluetooth adaptor would be $80+. The 'Bluetooth Industry' is rapidly growing, so keep on the lookout for newer cheaper and better products often. A good place to find Bluetooth modules would be at Sparkfun.com. Brainboxes.com offers rs232 Bluetooth adaptors. I have found many other sites offering Bluetooth chips/modules, but the ones above looked the easiest/cheapest to work with at the time of this writing. There are a few Bluetooth products in the ads, too. What are the differences between WiFi and Bluetooth? IEEE 802.11b offers faster speeds and greater range than Bluetooth. While Bluetooth has a weaker radio signal, this provides for more conservative use of battery power (designed for PDAs, wearable headsets, cell phones). Wifi's stronger signal provides more range, but uses 10 to 100 times more power than Bluetooth (designed for notebook computers, where the additional current drain is negligible). The two systems share space. But WiFi uses te 2.4 GHz radio band/Direct Sequence Spread Spectrum (DSS), not frequency hopping (FHSS) such as with Bluetooth. Bluetooth also doesn't typically have an access point. Devices on a Bluetooth PAN communicate directly with one another. IEEE 802.11b allows mobility over a very large area. When out of range of one IEEE 802.11b access point, another takes over. In the unlicensed 2.4 GHz radio spectrum, and it is possible for Bluetooth and IEEE 802.11b systems to interfere with one another. The 2.4 GHz Industrial, Scientific, and Medical (ISM) radio band is 83 MHz wide. 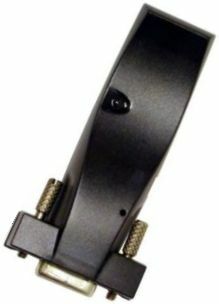 The ISM band is also used by the HomeRF wireless networking system, cordless analog and digital phones, microwave ovens, and some medical equipment. As is the case with most unlicensed radio bands, no one "owns" any particular frequency in the band, so users must share the radio spectrum. Generally keeping the devices far from each other distance wise will dramatically reduce interference - but dont worry too much, the FCC requires all of these devices to 'play nice' and be resistant to interference. Extra Information - Why is it Called 'Bluetooth'? Apparently it was named after Harald Bluetooth, the King of Denmark in the late 900's. He united Denmark and part of Norway into a single kingdom, so supposedly thats the link. But then he got owned by his son. Look him up . . .